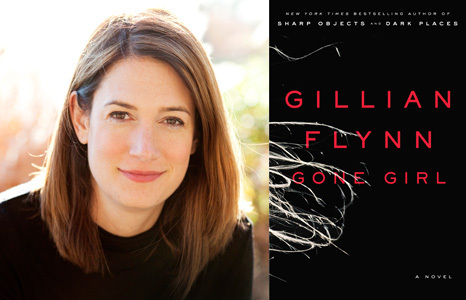 *I just finished "Gone Girl:A Novel, by Gillian Flynn"
This is one of the coolest novels I have ever read, or perhaps will ever read. The kind that makes you wonder how the author can walk about normal society with these kind of disturbed thoughts in her head, the kind that make me hope one day I can metamorphosis my own twisted ideas cocooning in my head into something that can fly. Why did I love it? Such a unique and wonderful use of untrustworthy narrators. Nothing cooler than ending a chapter where a character talks to the police with the line, “and that was my fifth lie?” Huh? Well, which five were the lies? But this is only the beginning. You're in for a roller coaster that works on so many levels. The murder mystery by itself would make it enough, but the novel speaks to marriage and relationships' tendencies to cling to the sickest parts of each other. The toxic ties that bind and keep us together and the resulting rresentments we share like an unwanted spawn. The novel addresses the way we experience all of our existence either through the media, or by referencing back to a movie version of our reality, and if you look closer, you'll even see a retelling of the Oedipal myth. *I got a huge DNF on 'The Twelve' By Justin Cronin, which was the most disappointing DNF of my life. It was the first novel I pre-ordered before the release date, after The Passage was right in my wheel-house, but the novel became laborious and then torturous. *Now I"m off to read: A Storm Of Swords, or, as I think of it, Game of Thrones Part 3, by George RR Martin. It's a given I will like it, and it's only over a thousand pages, so at a pace of 20 pages a day average, I should be done just in time for the HBO series to start in March. Trying to work on it diligently, practice patience, and there are a handful of publishers who I may grace with a submission (and by grace with a submission, I mean grovel at their doorstep) before putting the novel out the new-fashioned Amazon KDP way if it comes to that. I've identified and spoke with a very skilled editor, and fortunately have some beta readers who are reading it right now as we speak. May they be blessed with the gift of honesty. If you want to see a draft of the prologue, it's up on Fictionaut. Warning: this is no Jade Rabbit. Rated RH for really horrific. Instead of quirkiness dashed in, the quirkiness is trying just too hard, just a bunch of plot set ups for some cool quotes trying to make the statement of a generation. And I don't like Adam as a desperate suitor. It doesn't fit. Still, the series is great, always makes me smile and want to download some new music on itunes. I will keep watching even if I am middle-aged guy. I watched the pilot of 'The Following' during a treadmill run. I gasped once, ran fine, and enjoyed the pace of the sho. It lived up to much of the hype. The show bastardized Edgar Allen Poe a bit, tip-toed on cliche, but was deliciously dark and fun and fast. Plus only one degree of Kevin Bacon. A series recording is set on the DVR. Just putting in miles this week. I hope to do a 15 miler this weekend, and with the snow, it may very well be indoors. I often go to writer Chuck Wendig's blog, TerribleMinds, the freelance penmonkey, for inspiration. Even though his words are targeted to writing and publishing they are easily transferable and universal. I thought "Gone Girl" was the best book I read in 2012. I've had several friends who didn't like it, but I thought it was highly inventive. Glad you did too. Holy. Eff. Just finished Gone Girl. WHAT THE EFFFFFFFFFFFFFFFFFFFFFFFFFFFFFFFFFFFFFFFFFFFFFFFFFFFFFFFFFFFFFFFFFFFFFFFFFFFFFFFFFFFFFFFFFFFFFFFFFFFFFFFFFFFFFFFFFFFFFFFFFFFFFFFFFFFFFFFFFFFFFFFFFFF this book was so unbelievably amazing and yet, and yet, WHAT THE EFF WAS WITH THAT ENDING?!?!?!? I now hate it as much as I love it. She's written more books but there's a part of me that doesn't want to read anything more from her because I'm so mad at that ending. Ok, sorry, I just needed to vent to someone that read this too.